I'm feeling in a celebratory mood right now, on account of 'Wreck...' having passed the half-a-million site visits milestone last night (yippee!). Anyway, I thought I'd celebrate by sharing a rather grander than usual 'wreck' with you. 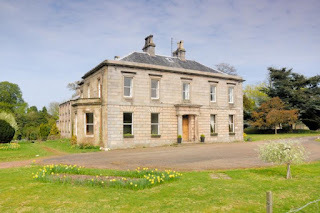 Peelwalls House is an absolutely stunning Grade B-listed mansion house in almost five acres of land a mile from Ayton, in the Scottish Borders. 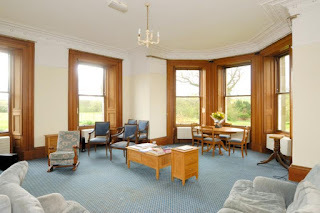 The mansion house itself currently has 20 bedrooms and 11 bathrooms, having spent its latter years as a nursing home. Despite the rash of stud walls, the house has hung onto original details such as a cupola-lit staircase, fireplaces, plasterwork and gorgeous windows such as the ones below. 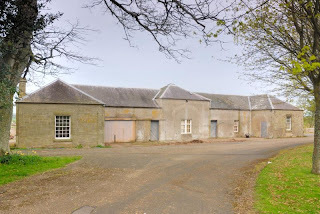 The property includes the mansion, a Grade C-listed walled garden, 4.9acres and the stone coach house pictured below. The mansion house and garden is on the market at offers over £395k; the coach house is also for sale separately at offers over £95k. 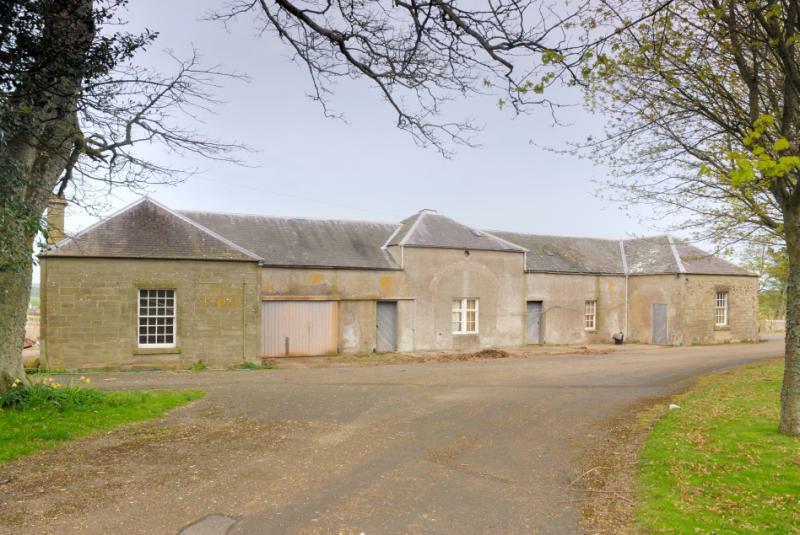 Or both buildings, the land and the walled garden at offers over £480K. There's a closing date for offers of midday on October 17th. More details on the whole property here and on the coach house here. PDF here. Strutt & Parker are the agents.